We are a leading Wholesale Trader of ss rod and ss square rod from Mumbai, India. 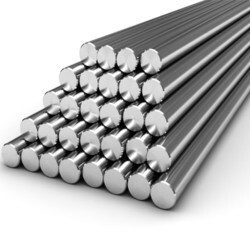 Being a leader in the industry, we are engaged in offering a qualitative range of SS Rod. We are instrumental in offering a wide range of Stainless Steel Square Rod to the customers at highly competitive prices. These products are manufactured using high-grade stainless steel, at our vendors'' end. Besides, we aim at delivering the ordered products at the clients'' end within the stipulated time frame.